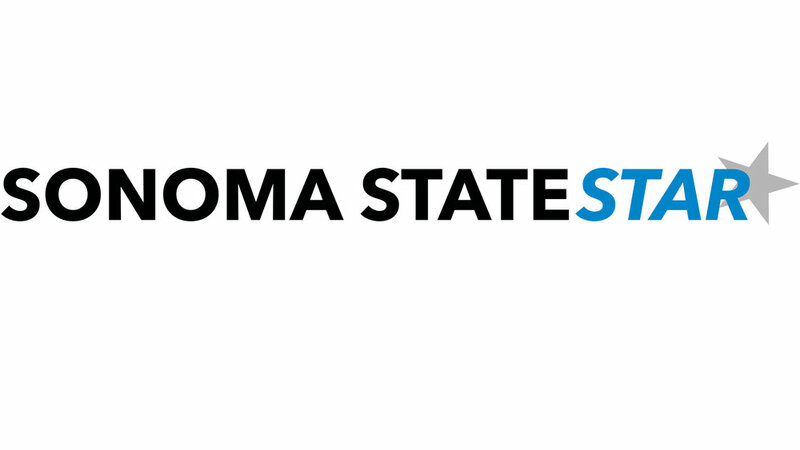 The win streak continues for the Sonoma State University women’s volleyball team, as it defeated rival Chico State and Stanislaus State over the weekend at home. In the first game of the weekend on Friday, the Seawolves had a slow start against Chico State. In the premiere set, the Seawolves battled hard to keep the score close and untimely won the set 26-24. Chico came out strong and determined to win the set. Even though the Seawolves had solid play in set two, it just wasn’t enough to defeat Chico and the Seawolves collected their first and only loss of the match, 26-24. Losing this set must have triggered something for the Seawolves, because they were fired up in the next set. The Seawolves were laser focused and only committed three errors as opposed to the eight and nine errors in prior sets. With this immense focus, the Seawolves were able to pull off another set victory, 25-21. Now with the momentum finally in the Seawolves’ hands, they knew they must capitalize on it. They did just that, with a total of 13 kills on the set and again with only three errors, winning the set 25-19. With this victory the Seawolves defeated Chico State 3-1 and moved to 5-0 in conference play. On the offensive side in game one for the Seawolves, it was Caiti Wiesner who led the team in kills with a total of 16 on the day. Calan Seitz was a close second with a total of 14 kills. When it came to setting up their teammates for scoring plays, Courtney Seda, the Seawolves’ setter, had that locked down with a total of 42 assists on the day. As for the defensive side of game one for the Seawolves, Kelsey McIntire led the team in blocks with a total of six and Morgan Annala was a close second with a total of five blocks on the day. As for digs for the Seawolves in game one, like last week, it was Megan Bohorquez who led the team with a total of 23. As for game two on Saturday against Stanislaus State, the Seawolves wasted no time. From the first set on, the Seawolves came out to play. In set one, the Seawolves had a total of 12 kills and only three errors as opposed to Stanislaus’ eight kills and eight errors and won the set over Stanislaus, 25-13. In set two, Stanislaus State showed more promise with a total of 12 kills and seven errors, but it wasn’t enough when matched up to the Seawolves’ 15 kills and eight errors in set two and the Seawolves won again, 25-23. In the third and final set of the game, the Seawolves had the momentum and they knew they were not going to let this game go to a fourth set. The Seawolves had a total of 18 kills and only five errors in the final set that gave them the victory, 25-20. With this final set victory the Seawolves defeated Stanislaus State, 3-0. As for the offensive leaders for SSU in game two it was Seitz with 13 kills and Tate Battistini with a total of 10 kills. Seda again shared the love with a total of 34 assists in game two. As for defense, Annala and Amy Trephan led the team in blocks with two each. Bohorquez also had a great game on defense with 18 digs. With this win, the Sonoma State women’s volleyball team is now 6-0 in CCAA play and 12-3 overall. Hopefully the Seawolves can keep the win streak going, because they have a tough road week ahead of them; all conference games, all away. Sonoma State takes on Chico State on Tuesday, Cal State East Bay on Friday and ends their weekend road trip with Cal State Monterey Bay on Saturday.